Montgomery has an ongoing affinity for F. Scott Fitzgerald, who lived here too briefly for us to lay much claim to his literary genius. But we do claim as a native his tortured wife, Zelda, and celebrate the life they lived together here (and elsewhere) creating enduring works of art. So it’s appropriate that Montgomery is currently hosting (until February 16) a play based on Fitzgerald’s most well-known novel, “The Great Gatsby.” The timing is good, with the 1925 novel at the forefront of the public’s consciousness on the heels of the 2013 lurid 3D cinematic spectacle by Baz Luhrmann. Although I haven’t seen the latest film version of Gatsby, the novel remains an important touchstone in my life and a key item on the map of America’s current feelings about wealth. The novel isn’t everyone’s favorite, but there’s a lot to recommend ASF’s version of a very human story about class mobility. Bjorn Thorstad is tremendous as Nick Carraway, the “everyman” protagonist who narrates his series of encounters with the mysterious Gatsby (Anthony Marble). Less thrilling is Jenny Strassburg, who plays Daisy as a constantly-yelling Southern belle who is supposed to have a “life of the party” exuberance that captures Gatsby’s heart. Instead, you’re sort of left wondering what Gatsby sees in Daisy (who is from Louisville but is given an over-the-top drawl that sounds like a northern Virginian Foghorn Leghorn). 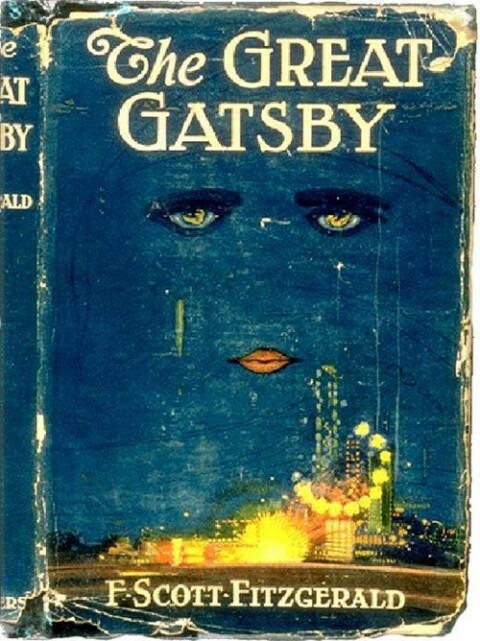 If you don’t grasp Daisy’s allure, the entire story begins to strain under the weight of Gatsby’s motivations. Without a compelling sense of endless love across time, Gatsby could become an empty over-reacher. Marble looks exactly like the Gatsby who could control a room with his magnetism, but doesn’t let us into the earnest charm that bewitches Nick. The viewer wants to cheer when Nick tells Gatsby that his friends are all garbage, but we’re left grasping a bit at what Nick sees to put Gatsby above the crowd of phonies. Fitzgerald’s book is rich in symbolism and is often the first encounter many high school students have with literary criticism. The ever-present eyes of advertising god Dr. T.J. Eckleberg loom large over the proceedings, and whether you see the spectacles as a sign of the divine or merely an oculist, the sign adds drama and heft to the proceedings. The throbbing green light? Whether love or ambition or something more poetic, the set design folks at ASF really do a nice job of bringing some of the book’s best thematic elements to the stage. Fitzgerald’s story does some of that work too, suggesting a mounting sense of doom as the Jazz Age spectacles are punctuated by references to automobile wrecks leading up to the ultimate act of vehicular carnage on which the plot hinges. But many of the best plot points are pried free of Fitzgerald’s original text, leaving the adaptation (by Simon Levy) haunted a bit by the ghosts of superior prose. Still, the story is incredibly timely and feels current. This fact may explain why the story was just re-released as a big budget movie, but it’s undeniable that there’s a huge appetite these days for a story about class mobility. Gatsby’s criminal rise from middle America to the world of high finance speaks to our current universe of Wall Street scandals, drug prohibition and inequality. Further praise is due to ASF’s set designers and props department. The props are all manufactured in-house with specifications especially for the show. Even the couches? Yes, even the couches had special wheels attached to the bottoms to make scene transitions seamless and effective. The story-telling was greatly enhanced by such flawless execution. Another highlight was the network of metal bars that formed (among other things) the balcony to Gatsby’s mansion. When properly lit, the radiant bars took on an art deco look that was among the most memorable takeaway images of the production. All in all, we had a great time and highly recommend grabbing tickets for the last week of Gatsby. Thorstad is a compelling embodiment of American optimism and honesty. The idea of being bewitched by a muse is timeless. Nothing against the child-friendly fare like the upcoming “Mary Poppins,” but it’s nice to see challenging adult fare that isn’t syrupy and manages to confront some serious themes. We’re already putting dates on the calendar for when we can make it to “Taming of the Shrew” (March 14-30) and “Timon of Athens” (April 25-May 23).